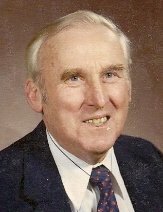 Northborough – Merrill S. Bergstrom, 85, passed away Friday Feb. 25, 2011 at Beaumont of Worcester. He leaves his wife of 60 years, Marilyn L. (Wivagg) Bergstrom; his son, David Bergstrom of Shrewsbury; his daughter, Kristen Swift and her husband, Robert, of Northborough; four grandchildren, Andrea Bergstrom and husband Arthur Goodhind III, Amy Bergstrom, Robert Swift III, and Erika Swift; and many nieces and nephews. Born in Worcester and raised in Shrewsbury, the son of Adolf and Eureka (Thyden), Merrill, he had lived in Northborough since 1955. He graduated from Shrewsbury High School in 1944 and earned a B.A. in Education from Boston University. He then went on to earn his master's degree from B.U. He served in the U.S. Navy during World War II aboard the USS Tortuga in the South Pacific. As the Director of Physical Education and Health for the Town of Wellesley from 1949-1983, Mr. Bergstrom was a varsity coach, teacher, school landscape designer and directed the outdoor education program. He was also a founding member of the Northborough Youth Hockey Program. After his retirement, he worked many years with his son, David, for Bergstrom Construction. He also enjoyed his part- time employment at Bigelow Nurseries and Juniper Hill Golf Course, both of Northborough. Mr. Bergstrom served on the Personnel Board for the Town of Northborough for many years and was a former member of Trinity Church. He was an active member of Church of the Nativity at the time of his passing. Additionally, he was a member of the Matthew John Whittall Lodge of Masons of Shrewsbury and the United Brethren Lodge of Marlborough. Above all else, he most enjoyed the time spent with his family. The Bergstrom family would like to extend their external gratitude to Dr. Robert Klugman, Dr. Adham Haider and the entire staff of Beaumont Worcester for Mr. Bergstrom's superb care and their genuine kindness during his final days. Calling hours will be held Monday Feb. 28, from 4 to 8 p.m., in Hays Funeral Home, 56 Main St. Funeral services will be held Tuesday March 1, at 11 a.m., in Church of the Nativity, 45 Howard St., Northborough. Burial will follow in Howard Street Cemetery. In lieu of flowers, memorial donations may be made to Church of the Nativity Memorial Fund, 45 Howard St., Northborough, MA 01532. For online condolences, please visit www.haysfuneralhome.com.